I don't know about you, but I like sleep. Especially since I don't get a lot of it during the school year. However, that also leads to a problem in the morning: getting up in time to get ready at a leisurely pace. If you ever see me in the morning, I'm usually rushing through my skincare and makeup routine, trying to get everything done within ~20 minutes. Which isn't fun, and thus any products that will shorten the time it takes me to get ready is always welcome. Such as a brow gel I can apply the night before so that my brows are ready to go in the morning. What Is It: A peel-off brow gel that leaves a natural-looking tint on your brows that doesn't fade or smudge. Size: 8ml | 0.27 fl. oz. This supposedly contains blackberry extract, black bean extract, portulaca oleracea extract, and panthenol to nourish and strengthen your brows. 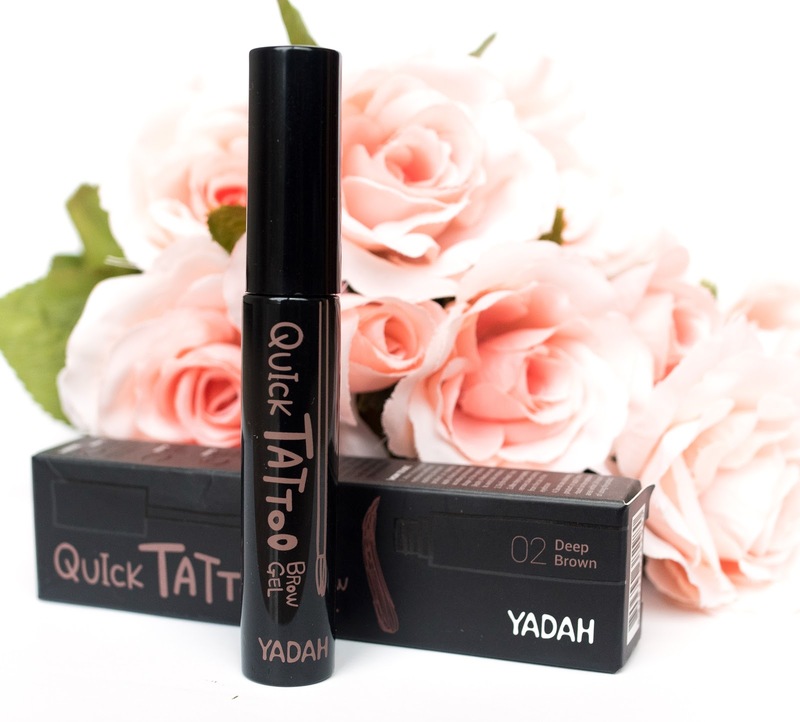 The Yadah Quick Tattoo Brow Gel comes in a black, plastic tube about the size of a tube of mascara. The design isn't eye-catching, but it has the playful font and child-like drawing on it that seems characteristic to all Yadah products. To apply the brow gel, you can use the included brush applicator to paint the gel onto your brows. I'm personally not a fan of the shape of the brush, which I find a little too wide and pliable for precise application. It makes drawing the tip of my brow quite a pain in the neck, and I often find myself wiping off the end to redraw it because I messed up. A thinner and more pointed brush would make drawing and shaping the brows much easier, something that this brush fails to do. I'd say there's definitely a learning to curve to using this brush. You need to be slow and patient with this, otherwise it's quite easy to mess up. There's been plenty of times where I applied a bit too much pressure, or tried to rush through the drawing process, and ended up having to clean up the edges because I went "outside of the lines". With that being said, once you've successfully applied to gel everything's a breeze from there on. According to the instructions, you're supposed to leave the gel on for at least one hour to let it dry and tint your skin/brows. I've never noticed a difference in pigmentation when I leave it on for one hour vs. overnight, so the time doesn't really matter as long as it's at least an hour. After that one hour, you simply peel off the gel to reveal your tinted brows. Sometimes the gel does stick to my individual brow hairs, so it doesn't come off in one piece. I've never pulled out any hairs when peeling off the gel, but sometimes it does hurt a little since I have to tug at the gel (and in turn, my brows) to get it off. I personally don't mind that it's not an effortless process, but if you have weak brow hairs then it might be a problem. I apologize for the different lightings in the pictures above, I took them all at different times during the day so it was difficult to get them all in the same lighting. However the color of the tint is pretty accurate! As you can see in the after removal image above, the tint left behind is pigmented but still pretty natural. It's a dark brown color with a slightly red undertone, so it should be a good match for people with warm toned dark to medium brown hair. It'd also work well for anyone with dark auburn colored hair. Prior to trying this brow gel I had used a similar product before, which was the Etude House Tint My Brows Gel. 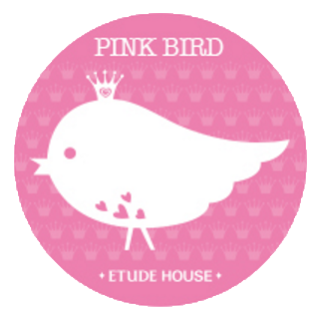 I remember the craze surrounding the Etude House one since they were the first one to create a peel-off tint for brows. Back then I remember being a bit disappointed that the tint was only good for a day, but that seems to be the case with all of these peel-off brow tints. With the Yadah Quick Tattoo Brow Gel, the tint lasts all day without any fading or smudging. However, if you get water or sweat on your brows and wipe it off, the tint does fade a bit. And if you use a makeup remover and wash your face with a cleanser, the tint fades a lot so you definitely can't depend on it to last for more than a day as you can see in the picture above. I did find that applying the gel overnight helps the tint stay visible longer, but it still fades too much (to a light honey brown) after the first day that you can't really rely on it alone the second day. The only way to avoid fading is to use a cleansing water to cleanse your face only. I personally don't feel like a cleansing water is enough to really cleanse out my pores, but if you don't have a problem with only using cleansing water then this tint can definitely last you more than a day. What I like about this brow gel is that it can be such a time-saver in the morning. I just apply the gel the night before, peel it off in the morning, and my brows are good to go (with a bit of brow mascara if I feel like it). Drawing my brows takes me about 3-4 minutes at most, but when you only have 20 minutes to get ready, 4 minutes can be a lot of time. Do I think it's a necessary product to have? Not really, but if you want to save time in the morning and like a natural brow look, then I would recommend that you give this a try. Where to Buy: You can purchase this on Amazon for $10.98 with free shipping. Here are the links to the three different shades available: Ash Brown, Deep Brown, and Natural Brown. Have you ever tried a peel-off brow tint before? 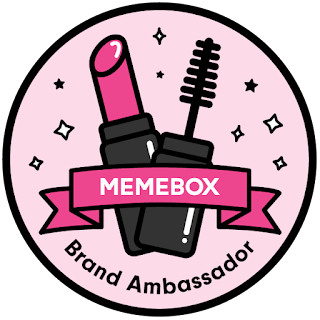 Would you be interested in trying one? Let me know in the comments below! 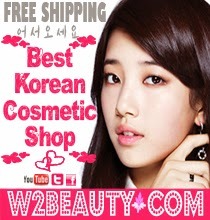 *The product featured was provided to me for review purposes by BBcosmetic. All opinions expressed are mine and 100% honest.